It’s almost Halloween! And do you know what’s unbelievably spooky, at least to my sophomore daughter?? The prospect of YOURS TRULY chaperoning tomorrow night’s high school dance! As fun as that sounds, I took pity on my daughter and offered my services to the bake sale instead. She was beyond grateful. These cookies are stupendous! Chewy and chocolatey and massively addictive, with just the right *kick* to keep people from getting complacent. Teenagers included! Feeling HOTTTT? Add an extra dash of cayenne. Not feeling caliente? Half it. But don’t eliminate it altogether! Low-sodium life DESERVES some spice! And you do too. 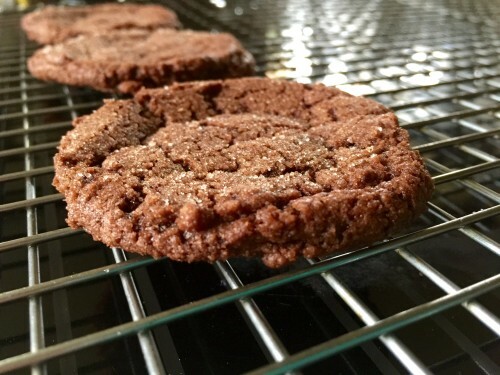 Recipe adapted from Vegan Cookies Invade Your Cookie Jar. Preheat oven to 350 degrees. Line two baking sheets with parchment and set aside. Measure the topping ingredients into a small shallow bowl, wide enough to accommodate a flat-bottomed drinking glass. Stir mixture gently to combine. Set aside. 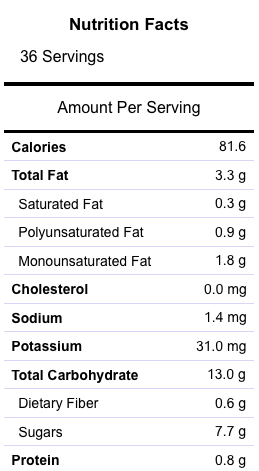 Measure the batter ingredients into a large mixing bowl and stir well to combine. Use a small cookie scoop or tablespoon to drop cookies onto the lined baking sheet, placing roughly 2-inches apart. Wet the bottom of a flat-bottomed drinking glass by running under water, then shaking off. Dip the glass bottom into the topping, then gently press down onto a cookie to flatten. Dip the glass into the topping again and repeat process with remaining cookies. Place the baking sheet on middle rack in oven and bake 10 minutes. Remove baking sheet from oven and let cookies cool on sheet for 5 minutes before transferring to a wire rack to cool fully. This entry was posted in Cookies, Vegan or Vegan Adaptable, Vegetarian. Bookmark the permalink. I LOVE your blog!!! I enjoy the fact that you deal with your health issue with lot of humor and do not waste time feeling sorry for yourself. I am 43 and was diagnosed with Heart Failure while on vacation this last summer (2015). It was the end result of having viral cardiomyopathy. So here I am with a heart condition and 2 young kids, a husband, a dog and a house–all who need a lot of energy! I’m sure you can relate! Anyway–THANK YOU and GOD BLESS YOU for sharing these recipes. I already made the samosas and they were amazing. 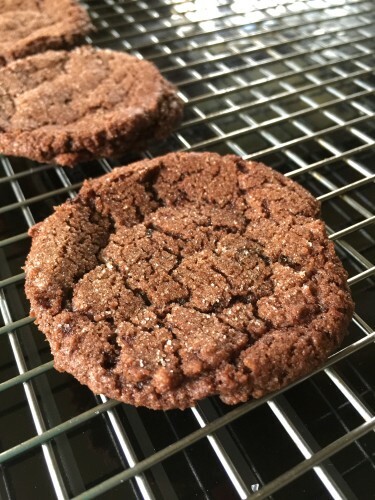 I plan on making these Mexican Choc Cookies next. Time for holiday baking! HI, I love love love your blog! I cant seem to get enough and my family loves the food too! Who knew my MD would get my family to eat healthier. lol! I cant seem to find the sodium free baking soda, do you have a link? thanks! Haha! Great to hear, Sylvia! You can buy Ener-G sodium free baking soda online from a number of places – just google and find the best price!